You already know that roses have a heavenly aroma and look gorgeous in your home, but were you aware that these flowers can also make you smell and look more beautiful, too? Many of today's beauty products are chock full of preservatives and other harsh ingredients that can actually dry out – or worse – irritate the skin. The best way to address your individual beauty needs without the risk of inflammation is by making some solutions yourself. Roses play a key role in all of these products, which are meant to soothe, soften and brighten your complexion with all natural ingredients. The best part? A subtle fragrance lingers long after you use them. Toner is a key step in any skincare regiment, as it can help to balance out your skin. 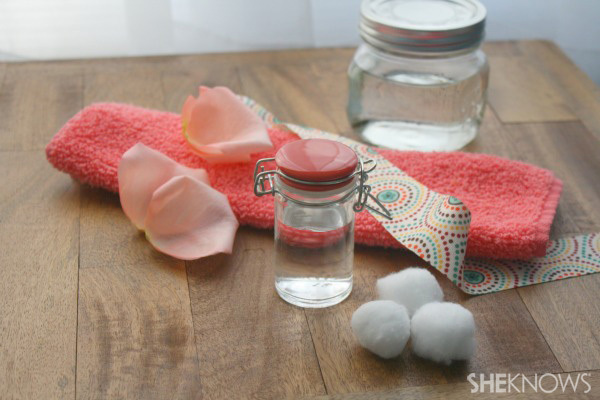 Rosewater in this recipe from SheKnows helps to eliminate excess oil and grime and even out your complexion. Pluck the petals of two roses and put them in a pan. Click link to shop for roses now. For more convenient use in your bathroom, consider adding some to a smaller glass container. While rosewater is gentle enough even for even sensitive skin types, the source noted that it's best to test the toner on your inner arm before putting it on your face to make sure you don't have a reaction. After cleansing your face and patting it dry, moisten a cotton ball with the solution and wipe it across your face. Wait for the product to dissolve, and once your skin is dry, moisturize as usual. If you have oily skin or are prone to breakouts, clay masks are a serious savior because they absorb extra traces of grease and dirt. As a result, you're less likely to get clogged pores. The best part of this recipe from Gardenista is that you can tweak it to fit your unique skin type and address any particular concerns. If your skin is on the drier side, Gardenista advises using apple cider vinegar instead of water to mix, as it's more hydrating. Start by grinding 1/8 cup dried lavender and 1/3 cup dried rose petals with a mortar and pestle. While an electric mixer will work, it's typically too intense for the delicate petals. Next, mix the ground flowers in a stainless steel bowl with 1/4 cup ground almonds, 1 cup ground oats and 2 cups of bentonite Clay, which you can usually find at an herb store. To make your mask, all you need to do is add 1 teaspoon of the mixture with the same amount of water. Smooth the paste over your face and let it dry completely before rinsing off with lukewarm water. Now you have a use for fallen rose petals: Forget sprinkling them in your tub for decoration and infuse your bathwater with these blooms. The recipe, which comes from HGTV Gardens, is relatively simple to complete, but does call for more ingredients than the others. Mix together 2 parts baking soda, 1 part citric acid, a few drops of sweet almond oil or coconut oil, rose petals and a few sprays of both your favorite fragrance and witch hazel into a circular mold. Let the solution sit for several minutes until it hardens, remove it and let dry for a full 24 hours before using.